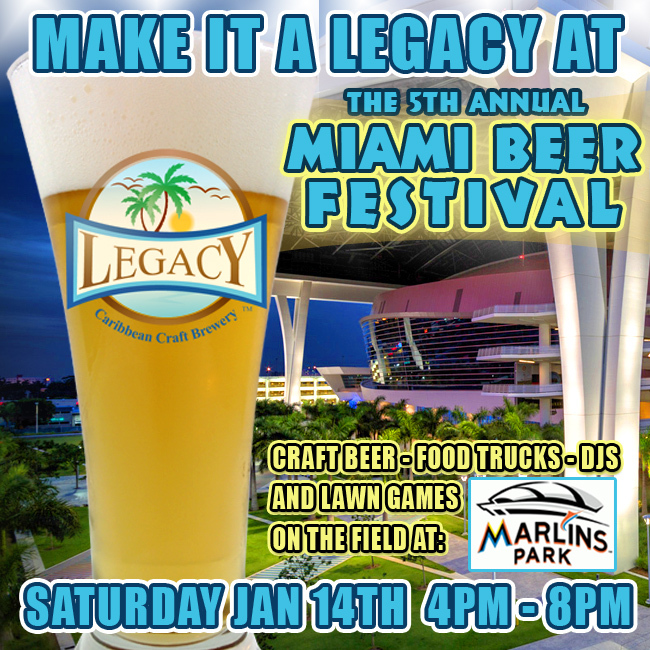 The 5th annual Miami Beer Festival will take place on Jan 14th and will give attendees once in a lifetime experience of enjoying a beer festival on the field of Marlins Park! The event brings together dozens of craft and international breweries, as well as Southern Florida’s best local breweries and will feature concessions throughout the stadium, a video DJ, photo booth, lawn games and some delicious beers. Admission is $45 for general admission and $60 for VIP (includes an additional hour with some specialty beers poured during the first hour from 4pm to 5pm), and a Beer Connoisseur’s ticket for $80 (includes an added hour from 4pm to 5pm, plus access to the Clevelander Lounge). Admission does not include food, which can be purchased separately. 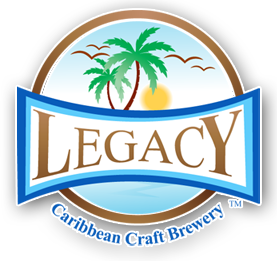 Legacy Caribbean Craft Brewery will be serving fresh brews and exclusive beers and beer jellies. 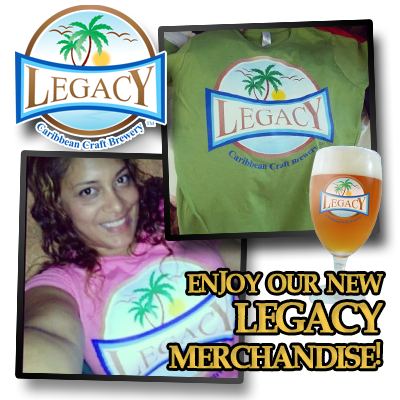 Stop by our booth for free giveaways and amazing craft beer! This entry was posted in and tagged Baseball, Marlins Park, miami. Bookmark the permalink.